“On your arrival in Honolulu, you will first make acquaintance with the members of the Board of Health. And by gaining their Confidence you will easily obtain permission to come and pass here a few weeks. You do not need to hire a schooner in which to make your home. A special home for receiving visitors will be willingly put at your disposal and you will find our new doctor, Dr. Swift, a good-hearted Irishman!! When you write to our friend Chapman, please give him my thanks for his kindness towards me. Our workmen are now covering in our church. The Stations of the Cross will be received with many thanks. If you bring any value with you for the church, please deposit it at Bishopham to my credit or if I am no more on this world, at the Catholic Mission in Honolulu…with the hope of our soon meeting here, J. Damien Deveuster”. 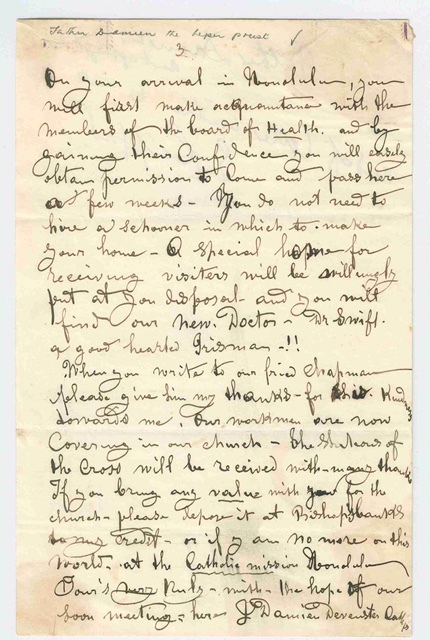 In Word Shadows of the Great, Thomas Madigan writes, “Without doubt Damien wrote few letters and it is not unlikely that many of those which come from his pen during the leper colony days were destroyed by the recipient.” He adds that he had owned the only two know letters by Damien. I must agree that Damien can be considered excessively rare. I can find no record of sales, at any rate, in auction or dealer catalogs for the past ten years. This letter is used to illustrate Damien’s autograph in Ray Rawlin’s Stein and Day Book of World Autographs. During the canonization of St Damien Joseph in 2009 a bone fragment from his heel was given to the Hawaiian Catholic Church. Today this relic is enshrined in this cathedral. It is located within a glass case to the right of the main sanctuary. He read the letter, over and over. “You may stay as long as your devotion dictates….” The words exploded against his mind and shook his heart. Again, and once again, he read them. They were the most welcome words he had ever received. He stood and listened to the sounds about him. Soft, cool breezes gently swept across his island. The palm trees along the shore bowed before the refreshing winds and clapped their great fronds in joy. Bright morning sunlight played over the trees, turning the leaves, now silver, blue. The Pacific waves rolled tranquilly against the rocky shores. The green and white waters rose and fell; the ocean’s motion never stopped, day or night. The restless power locked in the Pacific’s waves mirrored the surging energies locked within his own heart. He was a priest—a simple man. His parents were Belgian farmers. Nature had prepared his square, sturdy, and well-developed body to till the soil. God had summoned him to labor in a different field—to cultivate a more violent harvest. The words he now read hammered home this summons. Molokai. Catholic lepers there begged for a priest. Many missioners, despite danger of contagion, had offered to go. The Bishop, Louis Maigret, and Father Modeste, the religious superior of the Sacred Hearts Fathers, had selected Damien to begin the mission. Both were reluctant to put such a crushing burden pemanently on this young priest’s square and sturdy shoulders. The Bishop and Father Modeste knew the bitter work that had to be done; they hesitated to demand that this one man do so much of it. The Hawaiian Islands, one of the most beautiful places in all of God’s creation, were one of the last places on earth that men discovered. God was saving, it seems, his choicest gift for the last. Polynesian explorers, the first men to find the islands, settled there about eight centuries after Christ’s birth. A thousand years later, during the American Revolution, British sailors, under Captain Cook, were the first Europeans to reach this paradise. As contact with the outside world increased, the Hawaiians, with no immunity to European and Asiatic diseases, suffered immensely. Smallpox, influenza, cholera, tuberculosis, venereal disease, struck savagely and pitilessly. Within a hundred years of the white man’s arrival, the native population dropped from three hundred thousand to fifty thousand people. In the long litany of ills decimating the Hawaiian people, none was more vicious than leprosy. This hideous disease cut an evil swath through the defenseless natives of our planet’s Last Eden. One of man’s oldest curses, leprosy for centuries defied cure or remedy. To prevent its spread, Moses had separated and isolated Jews afflicted by it from the community. Roman legions and, later, Crusaders brought the disease to Europe. Authorities, having no better remedy than Moses, ordered lepers segregated from the cities and towns. Lepers were ordered to wear bells around their necks to warn people of their approach. By the year 1000, monks had constructed more than two thousand leper hospitals in Europe. They were called Lazar houses after the Gospel’s poor leper, Lazarus. Friars often lived in hidden leper settlements, serving the outcasts’ physical and spiritual needs. Although the disease ran its course through western Europe, by the turn of the nineteenth century the memory of it remained sunk in the white man’s brain like the terror of a nightmare. Even today the word “leprosy” evokes in the minds and hearts of people who have never seen a leper, the strangest sensations of fear and repulsion. Her name was Karokina. Mother of three children, she lived in a tiny fishing village on the island of Hawaii. Her life was simple, serene; her home, a lean-to built of palm branches. Affection, laughter and song characterized Karokina’s home life. She loved to watch the sun cast down silver jewels of light upon the green ocean. The gods were close to Karo. Every so often, Pele, goddess of fire, whose footsteps the medicine men declared had formed their islands, hurled smoke and fire from a nearby volcano. Then Karo knew fear. The blue skies turned to black, the ocean hissed as hot lava and firestones poured into its bosom. The sun and moon hid their faces behind the great clouds of steam that rose from the heaving seas. A lake of fire springs from the heart of a Hawaiian mountain. Centuries after volcanic explosions had formed the islands, their people were blessed by the fire of love in one man’s heart. Then the winds cleared the air, and Karo’s fear passed. Karo loved her islands most in the spring, when the poinciana trees burst into masses of scarlet, orange and gold bossoms, and pink flowers popped out from the green canopies of the monkey pod trees. It was during a springtime of great joy and beauty that white men from Honolulu came to Karo’s village. They were searching for natives who had that strange disease white men called leprosy. There were other lepers in Karo’s village. Some heard the white man coming and hid in the great volcano caves. Others found hiding places and holes in the jungle floor. But for Karo it was too late. The hunters took her at gunpoint to a government schooner. Her husband tried to stop them, but he was helpless. Karo’s children wailed and wept piteous tears of despair. White men spoke of their god as a god of mercy. Yet they showed no mercy. Karo’s captors took her first to Honolulu, where they herded her together with lepers from other islands. Some where more disfigured and ill than she was. Many could not walk; others could barely crawl. But the police forced them all on board the ship that was to take them to Molokai in this February of 1873. The ship’s crew looked on the unfortunates with horror. After several hours on the open sea, the schooner, full of weeping, crying and terrorized sick, arrived off the Molokai colony’s shore. There was no harbor, no dock. The captain and crew, afraid to bring the vessel too close to the rocky beach, drove and hurled the lepers into the surf. Some drowned. Others miraculously survived. On torn and bleeding feet they stumbled up on the harsh volcanic rock, numb and cold. “In this place,” a man advised Karo, “there is no law.” Sexual immorality, brawling, drunkenness, robberies, and orgiastic dancing, fueled by liquor made from tree roots, characterized the lives of lepers. Nobody cared. When lepers died, their poor bodies were thrown into graves so shallow that pigs and dogs grew fat feasting on their flesh. Despite the fulsome prose, Gibson was trumpeting a call, a challenge. There were indeed several men in the islands, only too willing to respond. They were good shepherds, searching for a flock for which they could lay down their lives. They were priests and Brothers of the Sacred Hearts. One of them was Father Damien De Veuster. Call it presentiment, prophecy, or anything you wish, but Damien had known for some time that he would eventually go to Molokai. In April, 1873, he wrote his Father General in Europe about his mission in Kohala, Hawaii, where he was stationed. 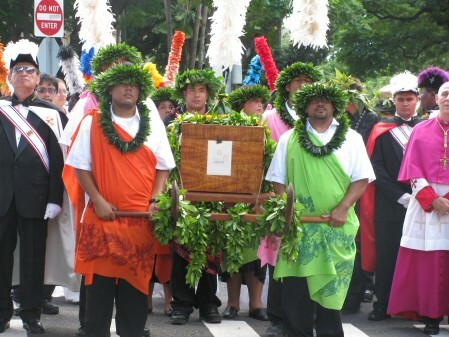 “Many of our Christians here at Kohala also had to go to Molokai. I can only attribute to God an undeniable feeling that soon I shall join them…. Eight years of service among Christians you love and love you have tied us by powerful bonds.” And join them he did. In early May, 1873, Father Damien’s superiors approved his request to serve at the leper settlement. Bishop Maigret accompanied Damien to Molokai. The Bishop proudly presented the new pastor to the Catholic lepers. The joy of their welcome and Damien’s excitement upon finally arriving at Molokai, dimmed the fact that he carried with him little more than his Breviary. 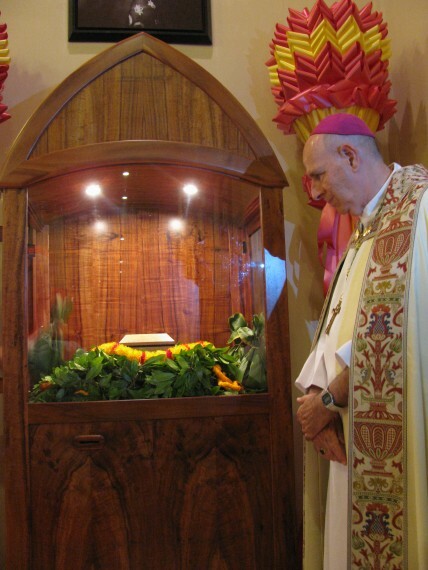 Sacred Hearts religious previously had built a tiny chapel on Molokai, and had dedicated it to St. Philomena. For his first rectory, Damien used the shelter of a pandanus tree, beside the little church. The pandanus offered hospitality to all passing creatures, centipedes, scorpions, ants, roaches and, finally, fleas. Cats, dogs and sheep found shelter under the tree’s kind branches. Damien settled in comfortably. A large rock on the side of the tree served as his dinner table. During these first weeks the new missionary took normal precautions to avoid contagion. With the lepers’ help, Damien added the rear wing to Molokai’s chapel. He also built the rectory (left). The priest was a skillful carpenter. No construction project daunted him. But if Damien protected his body, there was nothing he could do to protect his eyes or ears or sense of smell from the shock of contact with the leper. Here at Kalawao, the priest had opened a door to hell. Victims of the disease were all about him, their bodies in ruins, their faces ravaged and smashed by the coracious bacillus of leprosy. The constant coughing of the sick was the colony’s most familiar sound. Gathering up his enormous resources of courage, Damien began to approach the lepers one by one. Their breath was fetid; their bodies, already in a state of corruption, exuded a most foul odor. One of his first visits was to a young girl. He had found that worms had eaten her whole side. Molokai was a colony of shame, peopled by lost souls and smashed bodies. Medical care was minimal. Even if decent care were provided, Hawaiians distrusted the white man’s medicine, preferring their own witch doctors, or kahuna. White doctors sporadically appeared at government expense. These physicians lived in terror of contagion. One doctor examined lepers’ wounds by lifting their bandages with his cane. Another left medicine on a table where lepers could collect it without touching him. The Board of Health had put much thought into the leper settlement’s establishment. It chose Molokai because its geography was ideal for enforcing the isolation and segregation policy. Like other Hawaiian islands, Molokai was formed by a volcanic eruption from the ocean floor. As the fires under the crust of the earth exploded upward, Molokai rose out of the sea, a spectacular palisade reaching three to four thousand feet above the ocean. A later eruption within the high island poured hot lava into the sea. The volcanic flow piled up until it formed a shelf at the base of Molokai’s high cliffs. This peninsula sticks out into the ocean like a dirty brown furrowed tongue. There is no way to leave the peninsula except to plunge into the ocean or to climb up the huge vertical precipice surrounding the peninsula on three sides. The Board of Health knew that the peninsula was a natural prison, for no one suffering the ravages of leprosy could possibly scale the cliffs surrounding the colony. Most of Molokai’s non-leper population lived on the high plateau which embraces more than ninety percent of the island’s land area. The leper colony was established at Kalawao on a part of the peninsula described above. Molokai’s first lepers lived on, died on, and were buried in their mats. Authorities expected these poor people, weakened and crippled by their disease, to till the rich soil, raise cattle, and feed themselves. At first the government provided a few miserable grass huts for shelter. Abandoned lepers perished from hunger and cold. He encouraged lepers to help him in all his activities. With their assistance he built everything from coffins to cottages. He constructed the rectory, built a home for the lepers’ children. When the colony expanded along the peninsula to Kalaupapa, he hustled the lepers into construction of a good road between Kalawao and Kalaupapa. Under his direction, lepers blasted rocks at the Kalaupapa shoreline and opened a decent docking facility. Damien taught his people to farm, to raise animals, to play musical instruments, to sing. He watched with pride as the leper bands he organized marched up and down playing the music Hawaiians love so well. No self-pity in this colony. Damien’s cheerful disposition and desire to serve touched the lepers’ hearts without patronizing or bullying them. Little by little their accomplishments restored the sense of dignity their illness threatened to destroy. Under Damien’s vigorous lead, a sense of dignity and joy—and order replaced Molokai’s despair and lawlessness. Neat, painted cottages, many of which the priest himself constructed, replaced the colony’s miserable shacks. Charles Warren Stoddard, an American writer, first visited Molokai in 1868, five years before Damien’s arrival. He returned in 1884. In place of the miserable huts of the colony’s beginning, Stoddard now found two villages of white houses, surrounded by flower gardens and cultivated fields. Molokai boasted a decent hospital, a graveyard, and two orphanages filled with children. But what delighted Stoddard most of all was that the men and women, instead of rotting in the slime, awaiting death, were out horseback-riding. Damien was completely aware of the Hawaiians’ childlike nature. Simple, generous, hospitable people, the Hawaiians were most attractive. They remained, however, children of Adam and could be licentious, lazy, and, at times, mean-spirited. Damien was not blind to their defects. Ambrose Hutchinson describes the immorality that continued to plague the colony despite Damien’s best efforts. His disciplinary measures did not hurt church attendance. The lepers came to St. Philomena’s in such numbers that he had to enlarge the chapel. But even expanded facilities could not contain the worshipers. On Sundays, overflow crowds peered through the church windows to participate in the divine services. Visitors never forgot the sights and sounds of a Sunday Mass at St. Philomena’s Chapel. Damien, clear-eyed and devout, stood at the altar. Strong, muscular, a picture of vitality and health, the priest’s face was kind and his concern for the people evident. His lepers gathered around him on the altar. Some were blind. They constantly coughed and expectorated. The odor was overpowering. Yet Damien never once wavered or showed his disgust. Damien placed, of all things, poor boxes in the church. Because the blind often missed the slot, the pastor placed a little bell inside the poor box. When the sightless leper’s coin had dropped safely into the box, the bell rang. Hawaiians love to sing, and St. Philomena’s choir had no shortage of candidates. Because leprosy often attacked vocal cords, leper voices produced peculiar sounds. Nevertheless, the choir sang joyfully. Damien’s life was suffused with horror, yet he refused to be broken by it and refused to permit his little flock to be swept into despair. He ran foot races for the sports-loving lepers, even though some of them had no feet. He formed a band, even though some had few fingers to play the instruments. One witness reported two organists who played at the same time, managing ten fingers between them. News of Damien’s deeds spread from Hawaii to Europe to America. The priest of Molokai became front-page news. Funds poured in from all over the world. An Anglican priest, Reverend Hugh Chapman, organized, through the help of the London Times, a highly successful fund drive. Damien’s notoriety and fund-raising drew the ire of the Hawaiian government and his own religious superiors. Both accused him of playing the press for his own selfish reasons. The government was unhappy, because it felt Damien’s begging gave the Hawaiian effort to combat leprosy a bad image. Walter Gibson, Prime Minister of the Hawaiian king, felt that his government was most generous toward the lepers. It was spending fifty thousand dollars a year, which represented five percent of its total taxes, on leper care. No other government in the world could point to such a proud health-care record. The superiors of the Sacred Hearts mission were distressed because they felt Damien was giving the Congregation’s Fathers and Brothers a bad image. The press made it seem as if he were the only Sacred Hearts missionary willing to serve the colony. His superiors knew this was not true. And they took it as an affront to the whole Congregation. His superiors further accused Damien of being a “loner” because of his unhappy relationship with the three assistants they had sent him at different times. In all fairness, it probably is true that no one else could have lived with any of the three priests. But no one was more irritated by Damien’s fame than Hawaii’s Yankee missionaries. Stern Puritan divines felt leprosy was the inevitable result of the Hawaiian people’s licentiousness. In their puritanical judgement the Hawaiian people were corrupt and debased. The segregation policy would have to be enforced to hasten the inevitable physical and moral collapse of the essentially rotten Hawaiian culture. There were medical doctors who were so convinced of an essential connection between leprosy and sexual immorality that they insisted that leprosy could be spread only through sexual contact. 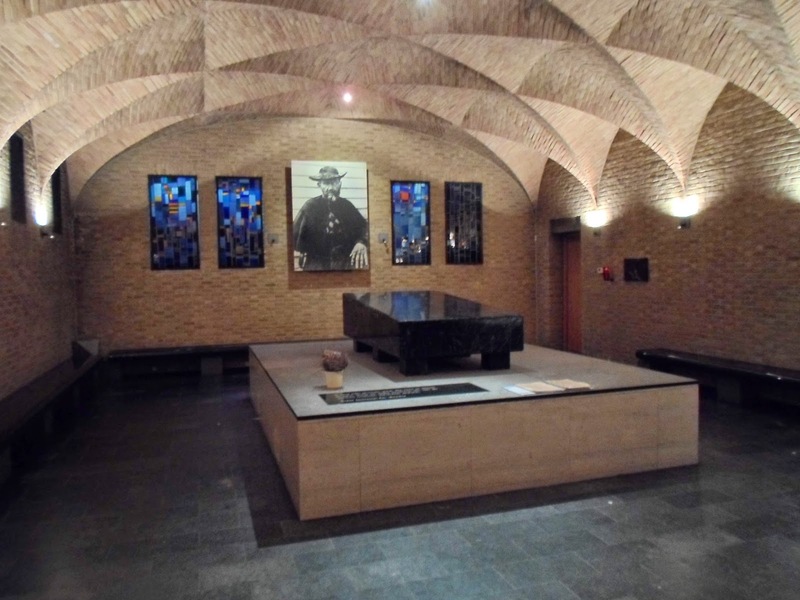 On this altar which he constructed, Father Damien celebrated Mass each day. From the Eucharist, the priest drew strength to continue his lonely and perilous mission. After leprosy claimed him, and he entered into his “peculiar Golgotha,” he found his deepest consolation and hope in the Mass. Damien was not, as we have noted, blind to the Hawaiians’ very real faults. Many Hawaiians, by their irregular sexual habits, greatly contributed to the spread of leprosy. But Damien knew that was not the only way the disease was communicated. Above all, he rejected the insufferable notion that God had laid this disease as a curse upon these people, to wipe them off the face of the earth. Damien hated leprosy. He didn’t see it as a tool of a vengeful God. He saw it as a suffering that man must eliminate. God loved the leper. No man had the right to scorn him. Damien embraced the leper but not leprosy. He lived in great dread of the disease. When he first experienced leprosy’s symptomatic itching, while still a missionary at Kohala, some years before he went to Molokai, he knew then that the loathing diseased threatened him. Even when the disease had run a good bit of its brutal course through his body, he still at times seemed to refuse to admit he was a victim. But leprosy finally claimed him. It was the final price God exacted from Damien to show his sense of community and oneness with his poor afflicted flock. History has borne out the wisdom of Damien’s decision to take these embarrassing measures. Shortly after Damien’s death, a Yankee divine of Honolulu, Doctor Charles McEwen Hyde, bitterly attacked the priest’s moral life. The good clergyman opined that Damien got leprosy because he was licentious. 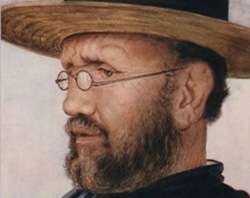 Father Damien was not lacking defenders. In a magnificent statement, Robert Louis Stevenson, who had visited Molokai after Damien’s death, rose to champion the priest’s cause. The author’s defense of Damien rested upon the complete sacrifice the man made of his life. A sacrifice no Yankee missionary in Hawaii had duplicated. 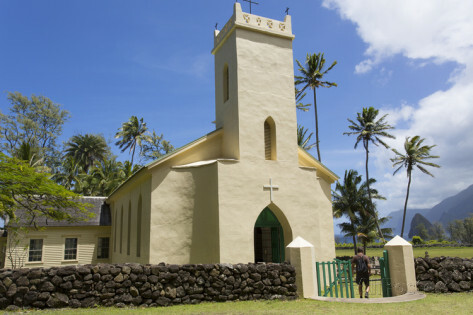 If some white missionaries scorned Father Damien, most Hawaiians loved him. In September 1881, Hawaiian Princess Liliuokalani visited Molokai. The Princess, moved deeply by the lepers’ suffering, was unable to give the speech she had prepared. Leaving Molokai with a broken heart, she returned to Honolulu and requested Father Damien to accept the Hawaiian Order of Knight Commander of the Royal Order of Kalakaua in recognition of his “efforts in alleviating the distress and mitigating the sorrows of the unfortunate.” With pleasure, Damien accepted the award. He felt it would bring attention to his lepers. There were many Americans, too, both in Hawaii and on the mainland, who recognized the work that Damien was doing and who sent, with characteristic American generosity, funds and other forms of help to him. In Honolulu, American Protestants were among his most generous benefactors. Opening their hearts and their purses to Damien, they sent him food, medicines, clothing, and all sorts of help for his mission. Damien was alone of the frontier of death. His loneliness oppressed him. He speaks of his “black thoughts” and the “insupportable melancholy that arose from his lack of religious companionship.” The Board of Health remonstrated with him because, ignoring the isolation policy, he climbed up and down the palisades to build chapels and to bring the Sacraments to the healthy people who dwelt on Molokai’s plateau. His superiors were displeased with his trips to Honolulu. They felt he gave bad example in the face of the government’s policy on segregation of lepers. Furthermore, two Sacred Hearts Fathers, laboring in other parts of the Hawaiian Islands, had contracted leprosy. The superiors did not want to force them to Molokai. They felt that Damien, by leaving the colony, might just precipitate a government crackdown. During one time when the isolation policy was being strictly enforced, a ship’s captain, reacting to the government’s orders, forbade Damien’s bishop to disembark on Molokai. In order to see the bishop, Damien sailed out to the boat. The captain refused Damien’s request to board. The priest pleaded in vain with the captain, saying that he wanted to confess his sins. “Bishop,” the priest called to the boat, “will you hear my confession from here?” The bishop consented, and Damien in an exercise of humility that touched all who witnessed it, confessed his sins aloud to the bishop. One day in December, 1884, while soaking his feet in extremely hot water, Father De Veuster experienced no sensation of heat or pain. The evil disease he had battled for so long now claimed him. In his last years he engaged in a flurry of activity. He hastened to complete his many building projects, enlarge his orphanages, organize his work. Help came from four unexpected sources. A priest, a soldier, a male nurse, and a nun. The soldier, Joseph Dutton, was the most unusual man. He had survived Civil War combat, a broken marriage, several years of hard drinking, to show up on Molokai’s shores in July, 1886. He stayed forty-five years without ever leaving the colony. He served the lepers of the Baldwin Home for Boys. Joseph was never seriously ill until just before his death in 1931. He was just short of eighty-eight. Another layman, James Sinnett, a man who had a colorful and checkered career, during which he gained some experience in nursing in Mercy Hospital, Chicago, came to Molokai eight months before Father Damien died. The leper priest called him “Brother James.” He nursed Father Damien during the final phase of his illness, and closed his eyes in death. During the last days of Damien’s life, Sinnett served as his secretary. He was faithful to the very end, and when Damien died, Sinnett left the colony. Nothing was heard from him thereafter. Father Louis-Lambert Conrardy, a fellow Belgian, joined Father Damien May 17, 1888. Archbishop William Gross of Oregon generously permitted Father Conrardy to leave his own priest-poor area to labor in Molokai. Archbishop Gross wrote of Conrardy: “I have trampled all over Oregon with Father Conrardy and he is a noble, heroic man…. Though he knows and realizes perfectly that he might succomb to the disease, his voluntary going is real heroism.” Conrardy and Damien joined in their unreserved dedication to the lepers. Along with this, Conrardy provided the spiritual and social companionship that Damien so desperately craved. The Sister who now offered at this critical junction support for Damien and his work, was Mother Marianne Kopp, Superior of the Franciscan Sisters of Syracuse, New York, who served the Honolulu leper hospital. Damien requested Mother Marianne to send Sisters to care for the girls’ orphanage at Molokai. Damien promised her that not one of her Sisters would ever be afflicted with leprosy. The Franciscan Sisters of Syracuse are still at Molokai. To this day, not one of them has ever contracted leprosy. Catherine De Veuster, Damien’s mother, had lived all these years on the occasional letters he wrote to her from Molokai. He had tried to keep her from the news of his leprosy. But inevitably she found out. Someone advised her that the newspapers said, “the flesh of the leper priest of Molokai was falling off in hunks.” It was too much for Catherine. Now eighty-three years of age, a widow for thirteen years, the shock of the sufferings of her son broke her old heart. On April 5, 1886, about four in the afternoon, turning her eyes for the last time toward the image of the Blessed Mother and the picture of her son, she bowed her head in that direction and died calmly and peacefully. An ever-deepening mental distress accompanied Damien’s physical dissolution. A severe depression, as well as religious scruples, now plagued the leper priest. Damien felt he was unworthy of heaven. The rejection by his religious superiors left him in near disarray. Once he claimed: “From the rest of the world I received gold and frankincense, but from my own superiors myrrh” (a bitter herb). His superiors complained about Father Conrardy’s presence on Molokai. Conrardy was not a religious of the Sacred Hearts, and they felt that Damien had encouraged his presence there as a reproach to their ineffectual efforts to provide him with a companion. Soon after Damien’s death, the Sacred Hearts superiors maneuvered Father Conrardy out of the colony. As the end drew near, there were priests of his own Congregation to hear his confession. They had come with the Franciscan Sisters. On March 30, one of them, a Father Moellers, heard Damien’s last confession. The leper priest had requested a funeral pall, which the Sisters made from him and delivered from Honolulu. It arrived the same day. Two more weeks of suffering, and on April 15, 1889, Damien died. It was Holy Week. Some weeks before, Damien had said that the Lord wanted him to spend Easter in heaven. In 1995 the right hand of St Damien Joseph was returned to Hawaii and placed within his original tomb located in the cemetery at this church.